The following are year-round fundraisers. They are very easy and something each and every one of us can participate in with very little effort. Buy products that participate in the Box Top program, clip the box top coupon, and send it with your child. 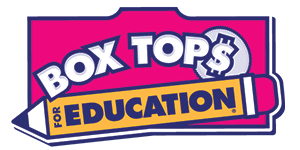 We would like to encourage each family to sign up on the Box Tops for Educations website at Boxtops for Education. By signing up you are able to enter a monthly drawing for bonus box tops awards to our school. In addition, you will have access to printable money saving coupons, fun and unique recipes and project ideas. One Church-One School of the Arts is now a part of Amazon Smile! Support our Church and School with all your amazing Amazon purchases! Click the link to add us to your account! Fundraisers such as Dress Down Week & special performance nights (Christmas Performance, Spring Play, Heritage Festival, Shark Tank, etc.) are fun ways to support and raise funds for programs at One School. Scholastic Book Fairs are an amazing experience for the whole school that brings about a love for reading and books. It’s a exciting time for parents, teachers, and scholars to join together and help raise funds for literacy. Annual Christmas Tree Sales support our PTF. Fresh cut Fraser Fir from the best grower in North Carolina. Select two sixes: 6’ -7’ and 7’ - 8’. Larger trees are available on special order basis. Fresh Fraser Wreaths. Beautiful Poinsettias. Pick Up at Lyman Parking Lot. Pay Only the Deposit Today!